Electrotherapy is a game-changer in so many ways. For one thing, it’s safe and non-addictive. That means a lot in a nation that’s plagued with pain-killer dependency and people searching for new ways to deal with acute and chronic pain. Another great advantage to TENS and EMS treatments is that these treatments can be used as often as needed. There are just a couple of precautions that a person should take, the main one being that the skin needs to breathe every now and then. It’s recommended that you give your skin a break from the electrode pads when needed. In the same vein, it’s important to let your electrode pads have a break, too. (Read more on proper electrode pad maintenance here.) However, even if you care for your electrode pads perfectly, you will still need to replace them after some amount of use. This can get a little pricey (though nothing compared to refilling prescription drugs). 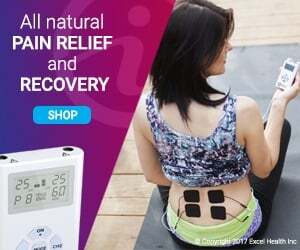 If you’re an athlete who regularly takes advantage of EMS, or a person using TENS to manage pain, you’re likely going through many electrode pads. Thus, you’ll be glad to know that iReliev has created the first ever Dollar Electrode Club. This club lets owners of iReliev's TENS and EMS machines to set up a customized, automated electrode pad refill schedule. In other words, if you find yourself needing a new set of electrode pads every week, month, or even every quarter, you can sign up for iReliev’s Dollar Electrode Club and arrange for new electrode pads to be automatically shipped when you need them. Aside from the mere convenience of such a system, there are several perks to joining iReliev’s Dollar Electrode Club. For one thing, the price is right. A refill kit of 16 electrode pads can cost anywhere from $40 and up. iReliev’s Dollar Electrode Club offers its refills starting at $1 a pad for the 2 inch by 2 inch electrode pads. These are compatible with the ET-1313, the ET-7070 and the ET-9090 models. Some users with these models also choose to use the premium butterfly style super electrode pad. Members of the club get refills for this style for $3 per pad. The 2 inch by 3 inch snap style electrode pads, which are compatible with the ET-0303 mini wireless device are $2 per pad in the Dollar Electrode Club. While you might expect a deal like this to come with hidden shipping charges, that’s far from the truth in this case. Shipping is free for members of the Dollar Electrode Club. Not only that, but members also get 15% off of any additional purchase from iReliev.com. As a final incentive, iReliev has created its Dollar Electrode Club to be completely flexible and manageable for each member. There’s no contract and no long-term agreements required to join. Members are free to take simple steps to cancel their plan at anytime. Alternatively, members can change their plan at any time so that they receive refills more or less frequently. If you’re already on board with the benefits of electrotherapy, then you understand that there’s something to be said for efficiency and practicality. 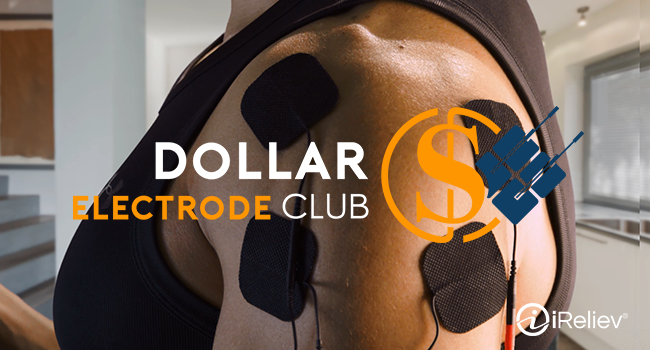 iReliev’s Dollar Electrode Club was designed with that mindset and is made to make benefitting from electrotherapy even easier.